Many Australians opt to remain in their homes long after retirement, and why shouldn’t they? We all love our homes where we are surrounded by familiar objects. When we stay in the home where we have spent many happy years, we are surrounded by the community with which we are familiar and by our family and friends. Our East Brisbane Home Care Services can offer you the support and care that you need to keep living at home. For many, staying at home can become a problem, as they become less able to look after themselves and their homes. When this happens, it may be time to seek in-home care from a service provider. We care for and support not only the elderly but the disabled and the sick. We also offer rehabilitative and palliative care. In Australia, funding is available for aged support from either the Commonwealth Home Support Program (CHSP) or the Home Care Packages program (HCP). If you are under 65 and require assistance you can apply to the National Disability Insurance Scheme. The CHSP offers entry level support. Higher levels of support are offered by the HCP. 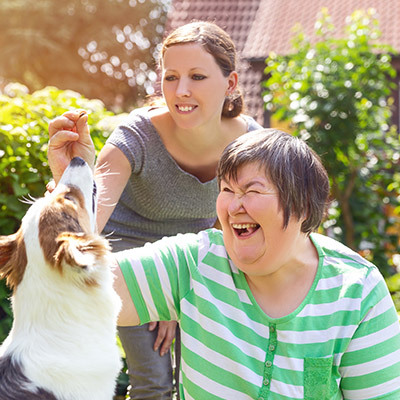 In-home support in Australia centres around the principles of Consumer Directed Care. According to these principles, you get to decide who provides the services that you require, what services you need and in what quantity. The Client Management consultants overseeing our East Brisbane Home Support can help you to make the choices that balance your lifestyle goals with your finances. The government subsidy for which you qualify will be paid into your account monthly. Every month we will send you a detailed statement of account which will help you to keep track of your receipts and expenditure. This transparency can help you to choose the best set of services that suits your needs and your budget. If you don’t spend all of the funds, the government permits you to accumulate them month on month and year on year. For us, our consumer directed approach to care is about earning your trust by keeping you adequately informed of your choices and the costs involved in the services on offer. Without information, you can’t be certain that you are receiving the best value for money. This is where we can help you, providing you with the information you need and expert advice. Call us at 1300 435 782 or contact us via our online form for more information about the consumer directed approach or specifically our consumer directed care approach.